Which is why, Papertrail, in partnership with Climbers Direct, have put together the following list of ten essential pieces of kit that every arborist should have in their arsenal. 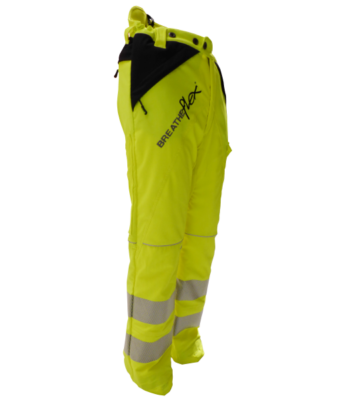 Designed for professional forestry work, these high visibility trousers comes with a multi-layered chainsaw shield system, incorporating Dyneema and Breatheflex, for ultimate protection. These are a Type A trouser (AT4010), with protection rated to Class 1 (20 m/s).They come with stretch enabled reflecting bands, certified to EN ISO 20471 Class 1. Find out more. The Fellhunter Xpert is one of the toughest and safest chainsaw boots available, designed for professional arborists. Even those who wear these on a regular basis can get many years use out of them, with proper care for these handcrafted boots. Created with durability and safety in mind, there are no other boots offering the same protection levels, with Class 3 (28m/s) saw protection and A 200J steel toe caps – “100% proof against chainsaw cuts.” Find out more. 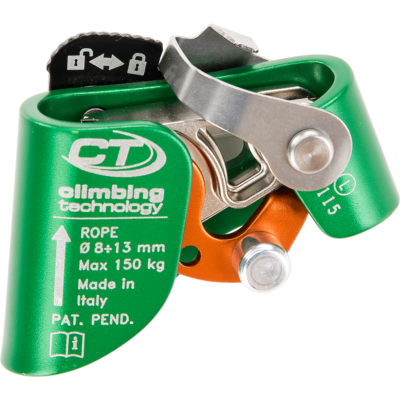 Italian manufacturer CT is known for creating solid and safe products for rock and tree climbers, including professional arborists. Climbers Direct sell left and right foot ascenders, which come with a two-movement quick attachment/release system. These include a self-cleaning cam, with three depressions to avoid the accumulation of dirt and mud. Find out more. Belay devices are an essential piece of safety kit. DMM have designed the Pivot (comes in red, blue and green) to support modern ropes and tree climbing methods. This belay device also comes with a patent pending solution that shifts the lever arrangement to allow controlled and easily initiated lowering when used in guide/direct mode. Find out more. Arborists have to carry a lot of kit. 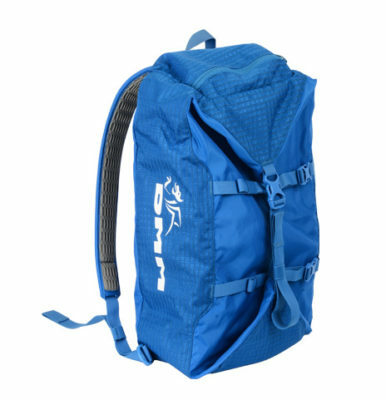 Keeping rope and other items in one place makes packing, set up and departure from each job easier, which is why this classic rope bag is a great way to carry an 80m rope and a few extras. Find out more. This is one of the most popular DMM products for tree care specialists; a colourful connector multipack. Each is equipped to handle a 30kN breaking load, with safety approval to EN362:2004/B and a captive bar that conforms to EN362:2004/T. Find out more. Climbers Direct customers can get 10% off a new Papertrail subscription when you start a free trial today and quote the code CLIMBERSDIRECT16. 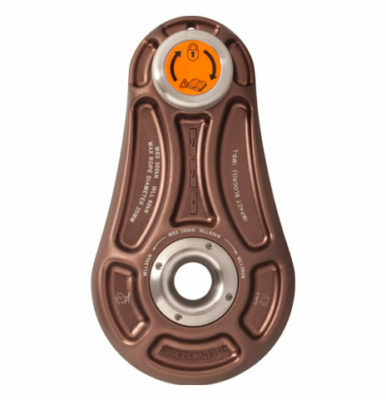 The DMM Impact Block is described as, ‘The best choice for the working Arborist.’ Designed, through a rigorous testing process, for tree care, forestry and rope access reduce work, this impact block has an impressive load bearing tolerance. The Large Impact Block has a minimum breaking strength (MBS) of 300 kN and working load limit (WLL) of 60 kN, whereas the small has an MBS of 200 kN and WLL of 40 kN. It conforms to EN12278:2007 and NFPA 1983(2012 ED) Class G. Find out more. The typical arboriculture professional isn’t going to be working with chainsaws 24/7, but it definitely pays to have a decent helmet handy at all times. 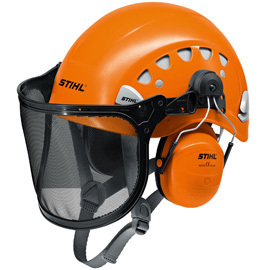 This model from Stihl is incredibly functional, with ear protection and a visor both removable for a wide-range of use cases. Find out more. Arborists have to be equipped for anything, which usually means carrying a lot of kit using a harness. This Petzl model is durable, flexible and secure, including two spaces for a carabiner to hold a chainsaw or handsaw, elastics to carry a first aid kit and twelve other slots to carry tools and equipment. It is built for comfort and easy adjustment at a height. Find out more. Arboriculture work is dangerous. Landowners, managers and contractors all have a duty of care to protect the public and other land users, which is why signs and other warning tools are an essential aspect of setting up an area before any work commences. There is a wide range available here. Papertrail has been working with the arboriculture industry since the early days, designing software that helps make people’s lives easier and safer in an industry which is three times more dangerous than the construction sector. 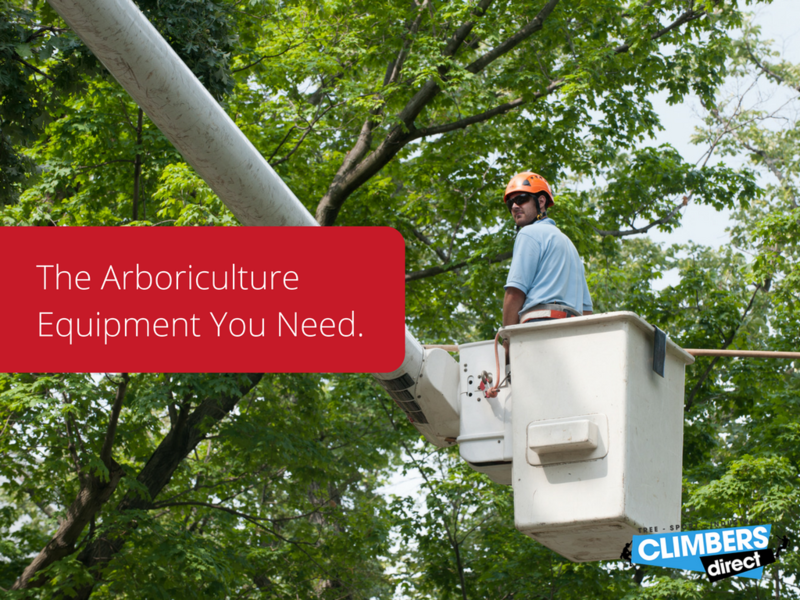 Over the years, we’ve learned a lot about health and safety in the arboriculture sector, and this knowledge has been instrumental in shaping our software. We’re now releasing everything we know about the industry in an eBook, free of charge, for you to download. Best of all, through our partnership with Climbers Direct, we are offering a 10% discount on a Papertrail subscription, with this code: CLIMBERSDIRECT16. Start your Papertrail for free today.